Everyone remembers the OJ trial. Everyone in the US, anyway. I was a kid--a kid who didn't even watch football--and I clearly remember where I was and what I was doing when the Bronco chase happened. It was a defining moment in American history. I just have a better understanding and appreciation of it all now. This 10-part mini-series tackles the entire ordeal from the initial discovery of the bodies of Nicole Brown Simpson and Ron Goldman through the aftermath of the trial verdict. It spares no one from scrutiny and features every randomly famous person they could cast, including cameo appearances from Jordana Brewster as Nicole's sister and Selma Blair as Kris Jenner. 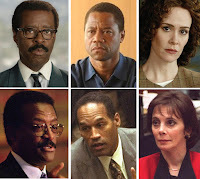 Most everyone is well cast, with the glaring exception of Cuba Gooding Jr as OJ himself. I don't know what it is, but he just doesn't embody OJ. At. All. 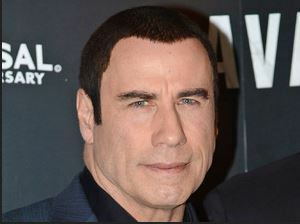 It's almost as distracting as the melting puddle formerly known as John Travolta's face. It's an interesting point is history to study, especially as someone who is too young to remember the LA race riots of 1992 after the beating of Rodney King. But with the current backlash against the police for yet again targeting men of color, this 20+ year old case somehow seems more relevant than ever. So disregarding the media circus and the high profile names surrounding this case, studying the details of it can shed a great deal of light on people's attitudes in our present political climate. There are plenty of reviews out there that break down each episode (I know, I read them frantically as I watched to compare any discrepancies), so I really just want to highlight the good and bad details running throughout. Good: casting, especially Sarah Paulson as Marcia Clark. Her hair is hideous and her acting overcomes it. She actually makes you feel sympathetic for Marcia, watching her completely botch the biggest case of the century. Bad: The inclusion of the Kardashian kids. I get that Robert Kardashian was a part of the legal defense team, but why did his kids need to appear in 4 episodes? They are so annoying I hate even child actors pretending to be them from 20 years ago. Good: The Dateline-esque tug of war between making you switch your loyalties between the prosecution and the defense. It really shows the humanity of each person involved with the case and plays on people's natural sympathetic tendencies to side with whomever seems to be getting the raw deal at that moment. Bad: Most of the material comes from one source, so there are moments and conversations that seem fabricated or at the very least, over dramatized. I know it's a TV miniseries, but for one that is so shockingly accurate, these little details stick out more than usual. Good: Highlighting the undercurrent of racial tensions in the country at the time through the lens of this particular case. It is relatable in a Straight Outta Compton way for people who may not listen to rap. Bad: I don't actually have any more negatives to highlight. It's that good. Then again, I am a Law & Order addict. 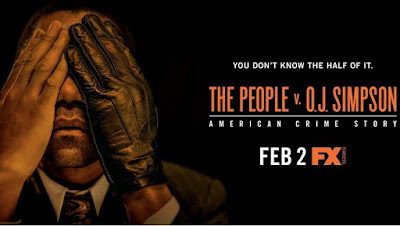 Final word: It will frustrate you (or elate you, depending on your position) as much as the original OJ trial did. If you never watched it, here is a more entertaining version of it.